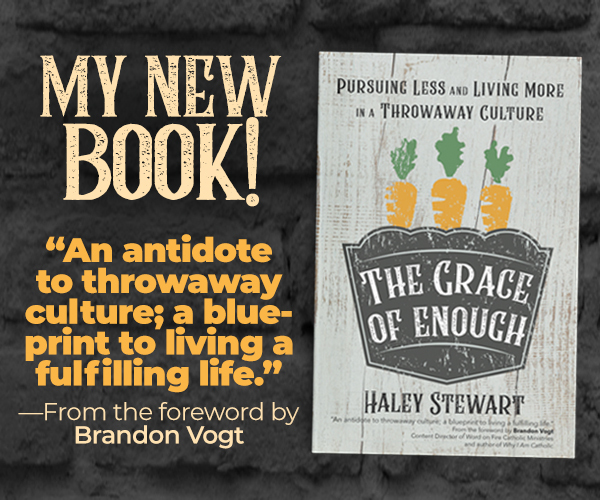 The other day I was thinking, “If I had to choose my ‘one word’ for 2017 it would be ‘organize.’” The idea of organizing is obviously not anything new or exciting, but for THIS GIRL–the one who doesn’t make lists, doesn’t stick to a calendar, doesn’t organize anything ever–well, friends, it looks like we’re in new territory. I think that after two years of upheaval (quitting jobs, selling a house, getting rid of our stuff, leaving Florida, traveling for almost two months, moving into an apartment, starting a new chapter, buying a new house, job hunting, moving in) even this most unorganiz-y gal is feeling the pull to get everything IN ORDER. Not to mention that with each new baby (and as the kids get older) getting more organized is just survival. So, in case there’s other non-listmaker fly-by-the-seat-of-their-pants folks out there who are suddenly struck with the necessity of organizing life, here’s what I’ve been doing that’s working for me. This beauty is my monthly calendar that’s on my bedroom wall. I just ordered some chalk markers and went to town. I love the way it looks (but I will say that it didn’t stick up on the wall very well, I had to secure it with thumb tacks because it kept falling down). It’s great for looking ahead to big happenings, saints days, and weekly obligations. And I jot down a blog and essential oils to-do list on the right side. 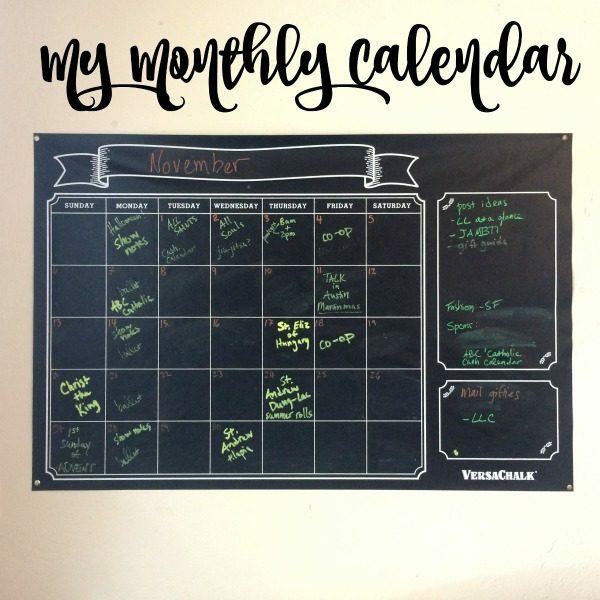 And then I give you…….the meal planning calendar! Ta da! 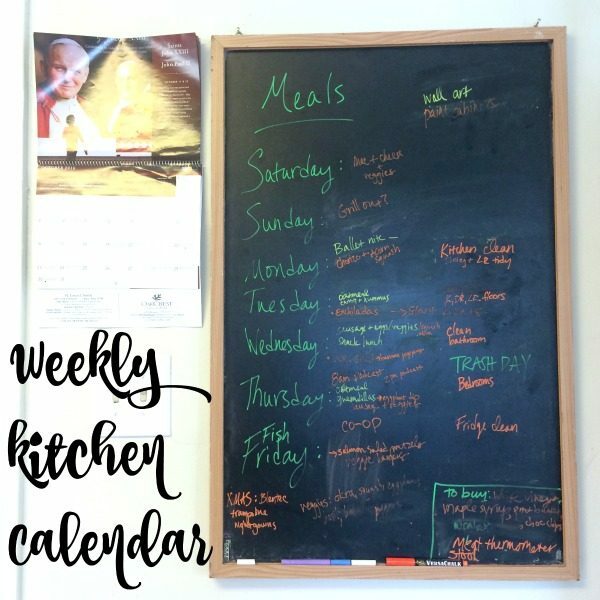 This one’s in the kitchen and I write down any meal ideas as well as ingredients we need to buy, household chores that need to happen, and various weekly obligations I don’t want to forget. Why have I never done this before?! Well, well, well, what have we here! It’s been awhile since I’ve gotten excited about a planner. But my friend Nancy of Do Small Things With Love sent me this one to preview and I AM IN LOVE. As you can see from the size compared to my laptop, it’s portable and easy to drop into the deep, dark caverns of my purse and take with me wherever. The best thing about this planner is how everything I could want is included. 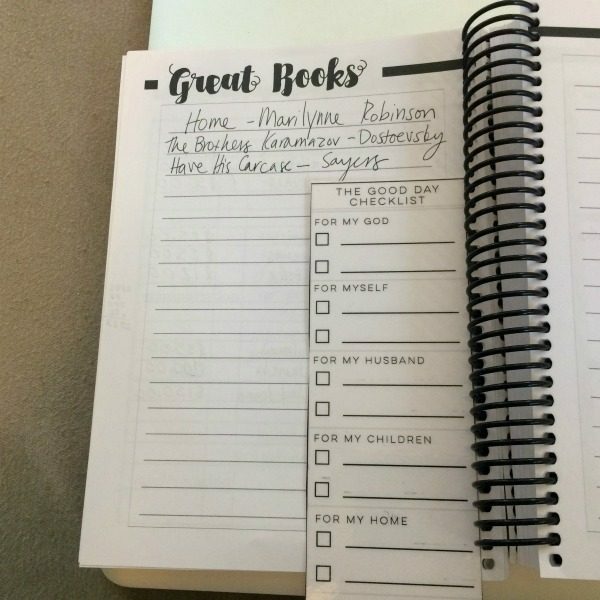 I asked Nancy how she came up with the idea and she said, “I want ONE BOOK that will be my prayer journal, my planner, my record keeper, my budget tracker, my goals and hopes and everything. I wanted something that will be my companion, and challenge me everyday to live out my vocation as a Catholic woman better. I love the sweet, simple aesthetic. And it comes with bookmarkers with an examen of conscience and daily goals on them. Here’s the month-at-a-glance pages. Check out those holy days and saints days on the right! 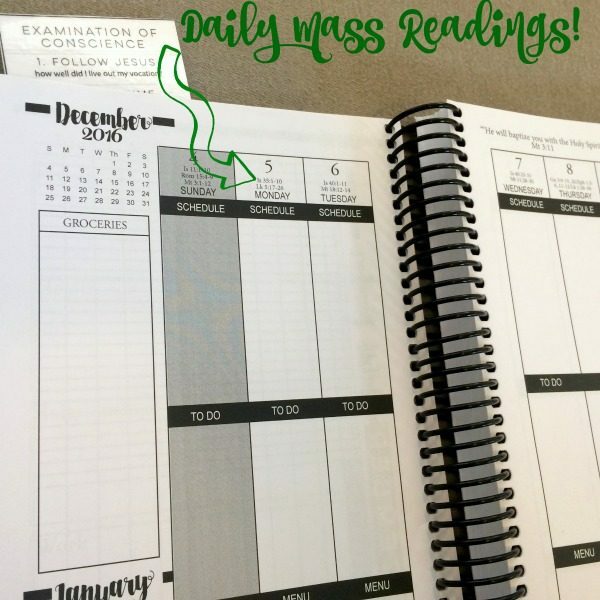 And then the week-at-a-glance pages: I love that the daily Mass readings are listed above each day! 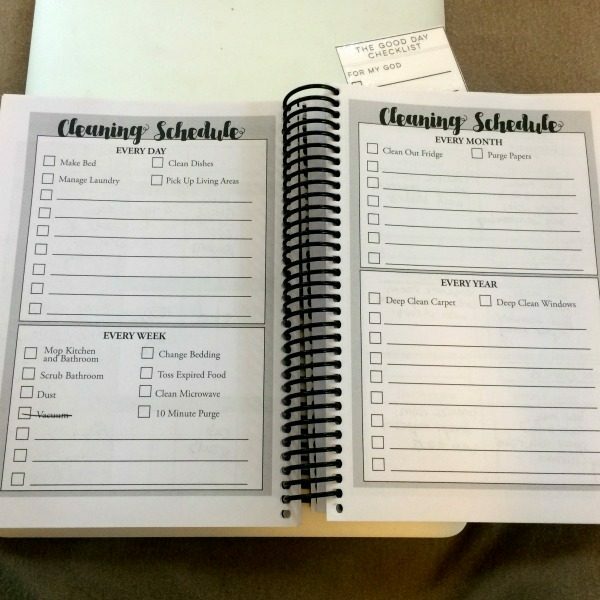 And there’s just oodles of helpful pages like this simple cleaning schedule (I crossed out vacuuming because we have all wood floors and linoleum). And this will be a great way to keep track of everything I read in the next year. 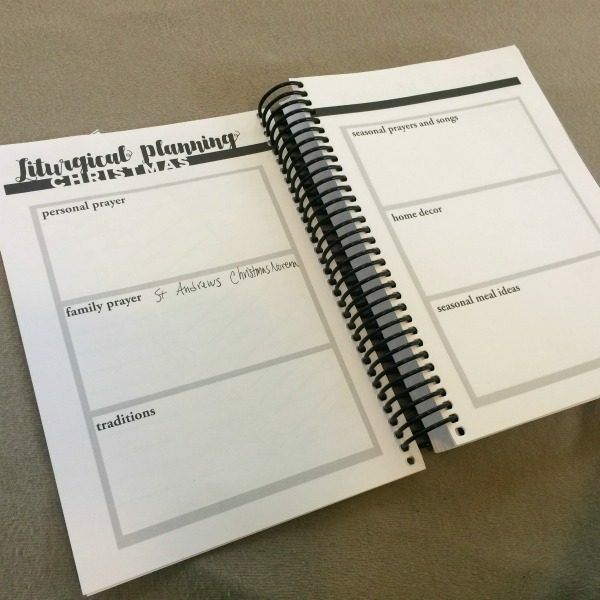 Can’t wait to start filling up the liturgical planning pages! 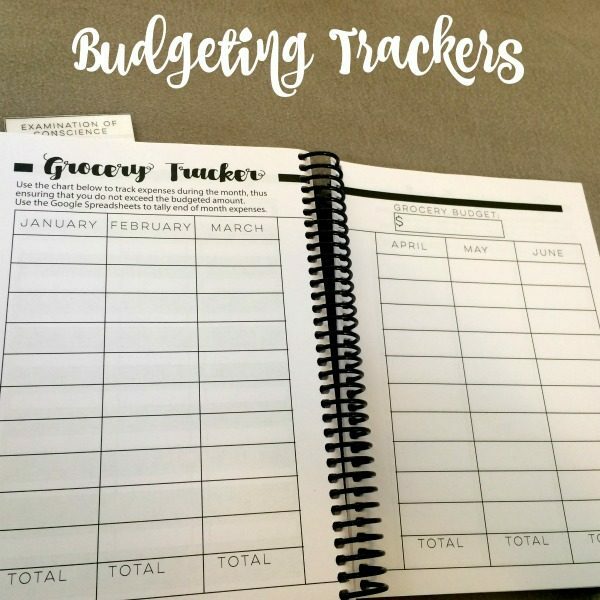 And in addition to this grocery tracker, there’s other budgeting pages to help keep track of it all the miserable adulting one finds herself needing to do. 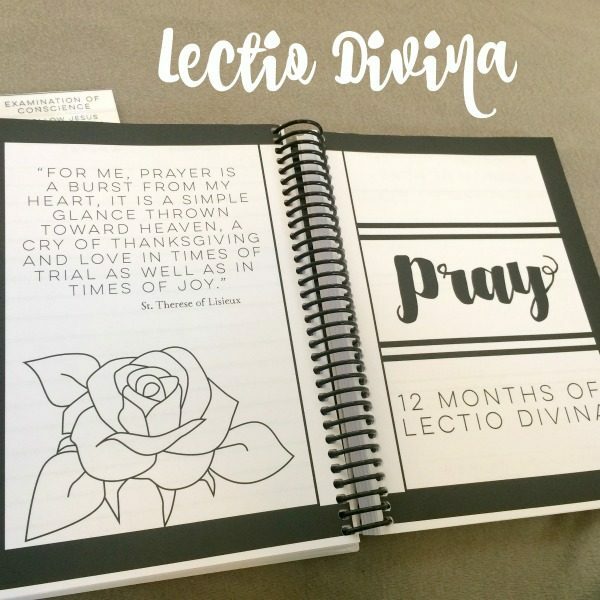 There’s even a lectio divine Bible study ready for you to begin. I have discovered over the years that the way for me to fail at keeping a calendar is to try to make it digital. I CAN’T do it if it’s not a physical product I can write in and leave open on the counter. 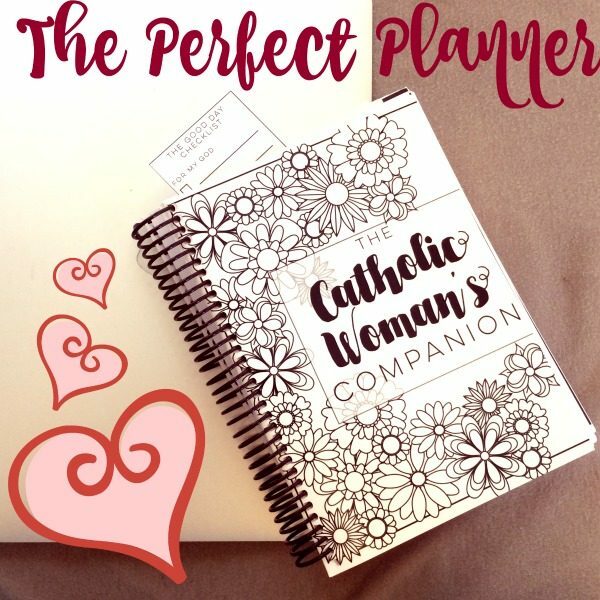 I’m counting down the days til December when The Catholic Women’s Companion begins and I can start using it everyday! So that’s a little bit about what scheduling/organizing tools are keeping me sane these days. If you’re interested in ordering The Catholic Woman’s Companion, I recommend doing it before December when the price jumps from $34.99 to $38.99. You can order it here. What are you doing these days to stay organized and keep your head above water? Ohhhh I love a good planner! This one looks wonderful, and a great price, on sale or not! And some of those pages look like they are begging to be colored in. So glad you enjoyed the podcast. I really should follow some organizing blogs because IT IS NOT MY CHARISM. I am so bad at it! Did you mean January of 2018 or does it really only have 2 months of weekly/monthly sheets? Oops! Yes, January 2018. Sorry for the confusion! I love the idea of planners, and that one looks awesome! My problem is, after the first week or so of owning it, I neglect to open it anymore. I wish I was better at using them! And I’ve just started meal planning. This is a tough one for me, too because I didn’t grow up seeing it done. I can see that it definitely helps the bank account and nightly stress whenever I do it though! I don’t remember ever seeing my parents meal plan, either! I mean, I know they did it because they were working within a tight budget but I never saw it happen. You should check out bullet journals. I’ve recently begun one, and I love it! You can use any notebook (nothing special to buy if you don’t want to) to do it, and it’s super customize-able. You can just search “bullet journal” on google or pinterest, and find TONS of ideas and instructions. The planner is awesome! I just bought 2 planners, one to keep track of meal planning and the other for a back up of my google to carry around…this will allow me to combine and also remain prayerful in my day to day life! THANK YOU! God bless you and your family and thank you for all your beautiful reminders and continuing to evangelize our faith! 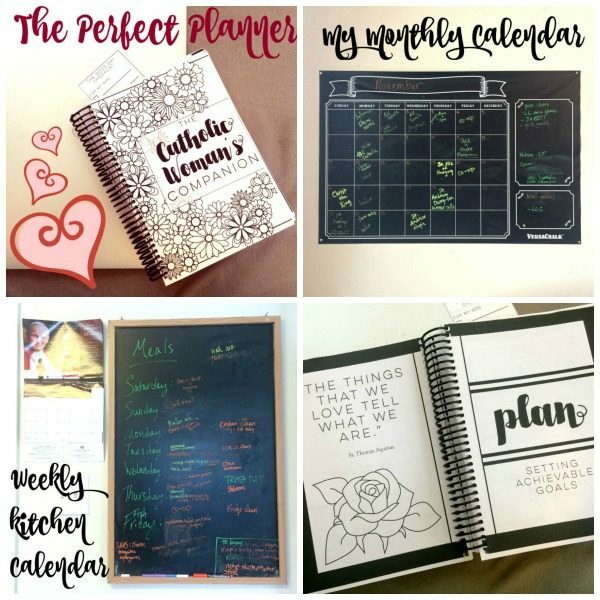 Thank you so much for sharing the planner! It really looks wonderful and is affordable too! I ordered one and can’t wait to get started. 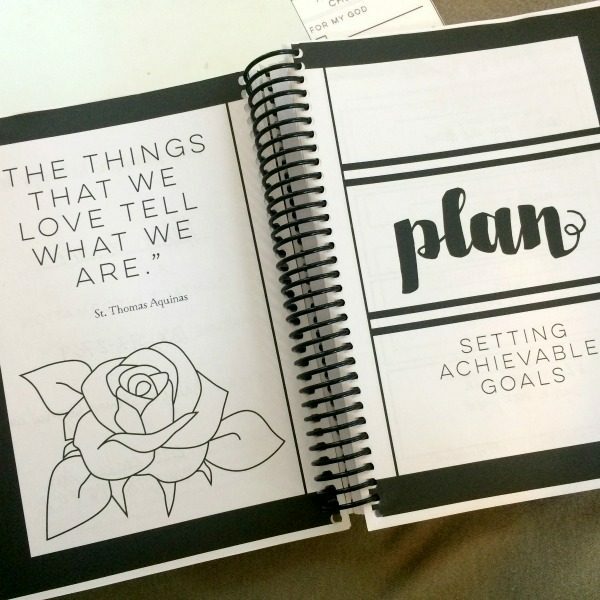 Just ordered the Catholic women’s planner. So pumped! If you use promo code NIGEL35 right now you’ll get 35% off . A significant discount! I just bought the Catholic Mothers Companion because you recommended it and it looked good from the photos. I’m pretty disappointed though. It has a lot in it but It feels and looks cheaply made. There’s not much room to write and it’s not well laid out. And it only has Novus Ordo feast days listed. I also didn’t get the bookmark you have pictured. It looks like she printed it at home with a black and white printer and bound it herself. That would be fine except it was quite expensive at almost $40! 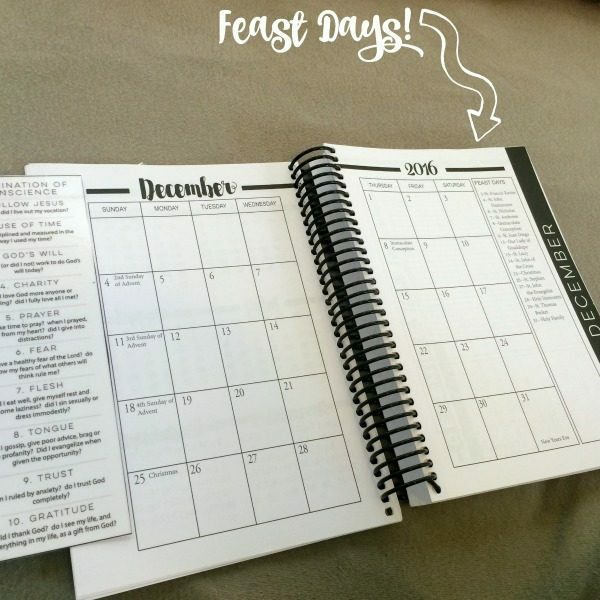 Last year I bought this planner: http://www.michelequigley.com/store/product/the-catholic-daily-planner/ and it feels high quality, has both Traditional and Novis Ordo feast days on it, has a beautiful photo cover, rounded corners, and is cheaper than the Catholic Mothers Companion. I will not be purchasing this again. I am so sorry you aren’t satisfied with the planner–but thank you for taking a minute to share some feedback. I hear what you are saying about the printing quality. The trouble with doing this independently is that there are few options and most options are expensive. Yes, I agree with Anna. I’m so disappointed. If you use a planner daily like I do this one just isn’t sturdy enough. Mine has already started to fall apart. I also think it would be vastly improved by some section dividers of some sort. I don’t suggest adding any more pages as the binding can’t handle what is there already but, maybe colored pages at certain intervals to mark the sections. I had to order another planner already. I don’t like to be so disagreeable but this planner was expensive and now I have to purchase another one. Tracy–thanks for taking the time to comment about the planner you bought from me. This feedback is actually super helpful as I begin to discern what I want to do next year. 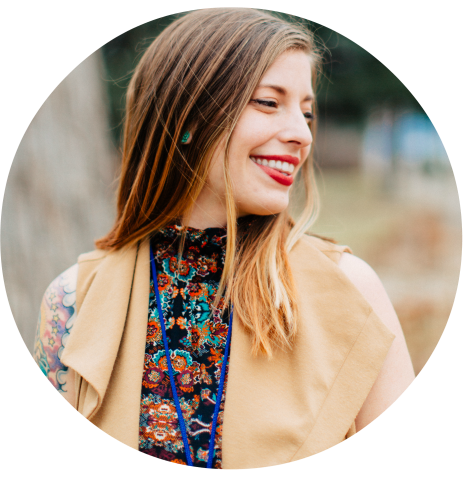 You are totally right, the publishing was far from perfect and I am working hard to find a better publisher for next year–and besides, behind the scenes the publisher was a bit of a nightmare for me to deal with. I am also putting a lot of thought and prayers into how I can make this planner WAY less expensive next year and I think I have some ideas. It’s all just thoughts right now, but I am hopeful that all of this can be vastly improved next year. Again, sorry about this, but thank you for your feedback.